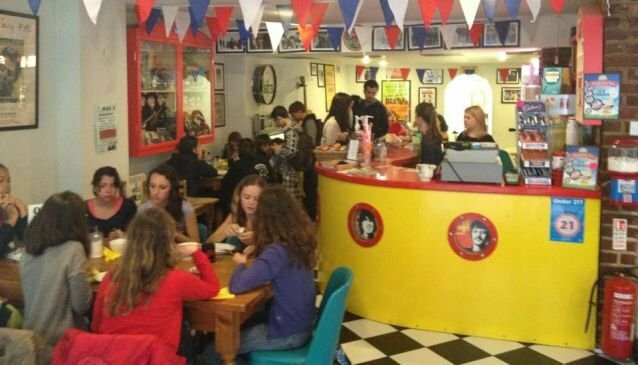 Tunes from the Beatles will lull you through filling and affordable meals at The Octopus Garden, one Cowes café you can’t go past without getting lost in a colourful time warp of sixties memorabilia. This may be the only place you can wake up with the Beatles for an all-day breakfast and cosy in amongst the colourful and creative décor that will take you straight back to the swingin’ sixties. The Octopus Garden Cafe also has a choice of fresh sandwiches and baguettes, soups, salads and many other homemade family favourites all made with quality local ingredients. While there is a dedicated corner for the kids, full of toys and games, the young at heart will also be kept entertained with the endless Beatles paraphernalia and with song requests welcomed. Much of the collection belongs to proprietor Chris Sanders, who first opened the doors to The Octopus Garden Café in 1999 and has been a Beatles fan since he was a child.